There’s a new plug-in hybrid Range Rover available – and it is impressive. 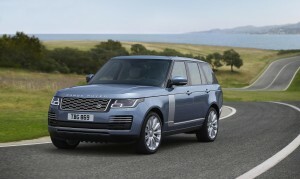 A new plug-in electric-petrol powered hybrid has joined the Range Rover line-up to deliver a peerless SUV. 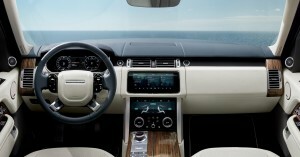 The new vehicle has a redesigned cabin and the new infotainment system comes with high definition touchscreen controls. There’s also a new Range Rover SVAutobiography Dynamic with a V8 supercharged petrol engine under the bonnet to produce 565 bhp and help power the vehicle to 62 mph in five seconds. Range Rover says this is its most powerful production model ever. However, there will be lots of interest in the new hybrid Range Rover P400e PHEV which offers an interesting alternative to one of the best luxurious vehicles available. The firm says the new plug-in electric petrol powertrain will deliver 404 bhp with torque of 640nM which will deliver economy of 101 mpg. That’s an incredible figure considering the size and weight of the vehicle. Perhaps, more impressive is the claimed emissions of 64g/km for the new engine which will deliver an electric-only range of 31 miles and a battery that can be recharged in just two hours 45 minutes. The carmaker says its P400e offers a ‘whisper quiet’ driving experience while enjoying uncompromising off-road capabilities. 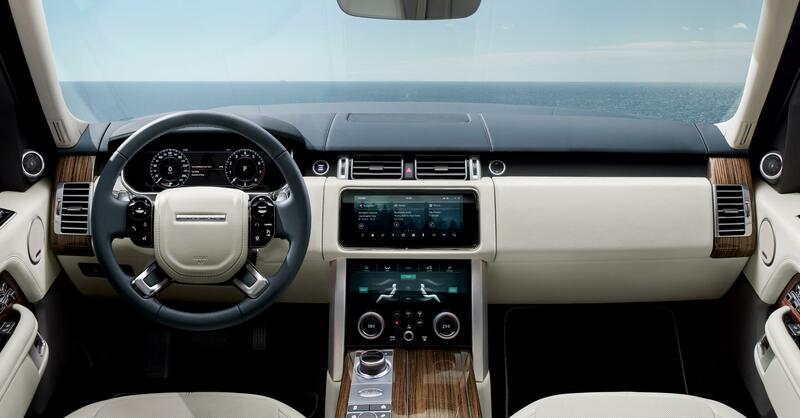 However, the big attraction for the Range Rover is the impressive levels of luxury which feature high levels of refinement and comfort. There are also new consumer technologies in the cabin including front seats that have 24-way movement. That also 17 connection points on board including domestic plug sockets, HDMI and USB ports. There’s also a 4G Wi-Fi hotspot that can have eight devices connected to it. Other features include a sun blind pack that can be opened and closed by gesture control and a cabin air ionisation system to help purify the air for those on board. There’s also advanced LED headlights for brighter vision without dazzling oncoming drivers. Range Rover has also added an activity key so that drivers can lock and unlock their vehicle without having to carry a conventional key fob. There’s no doubt that the new hybrid Range Rover is the first step on the firm’s journey to delivering electrified and better connected vehicles with improving levels of autonomy. The new hybrid will prove to be popular since it will, in many areas, not be subject to a congestion charge. The impressive new Range Rover is available to order now priced from £79,595 OTR. This entry was posted in 4X4 Car, Luxury Cars and tagged range rover by Steve Lumley. Bookmark the permalink.